Improving quality and patient safety: Q&A with Steven J. Bernstein, M.D., M.P.H. 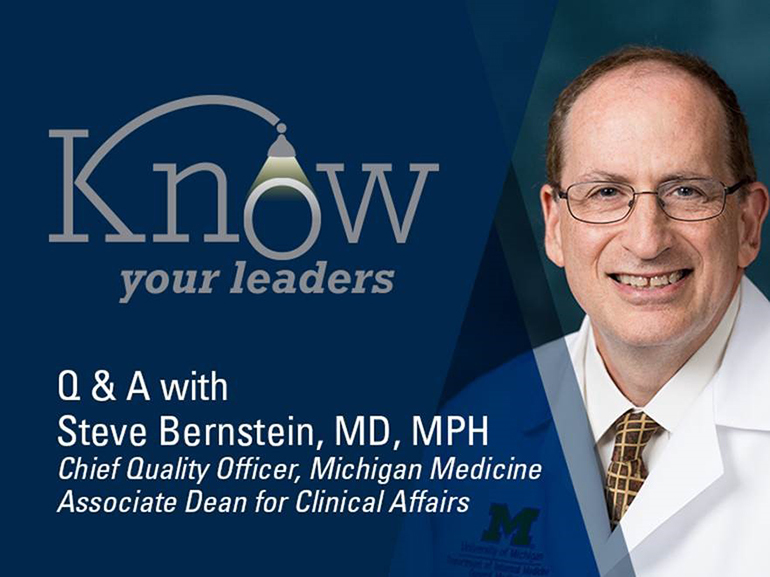 Headlines recently caught up with Steven J. Bernstein, M.D., M.P.H., the chief quality officer at Michigan Medicine. 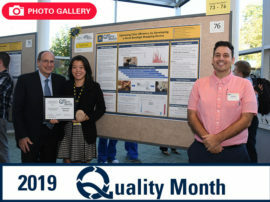 Bernstein discussed the work of the Quality Department — restructured in 2016 — and his vision for the future of quality and safety across the organization. 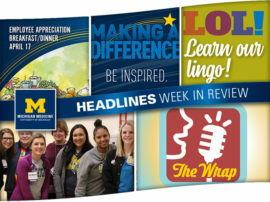 Q: What is your vision for Quality at Michigan Medicine? SB: I believe that the Quality Department should help lead Michigan Medicine — and the nation — in providing the highest quality and safest care to patients. We can achieve this through innovative thinking, techniques and training, by developing cutting-edge analytics, and by working with colleagues across other disciplines and units at the university. Q: Why was the Quality Department restructured in the last year? 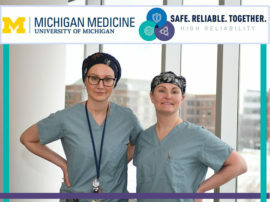 SB: Quality and safety have always been priorities for Michigan Medicine, but prior to the development of the new Quality Department, the work was being done by individual units, often working independently of one another. Leadership recognized that while there were areas of excellence, there were significant opportunities to improve care by strategically aligning quality and safety under one department. This would enable all of the teams working to improve quality and safety of care to join together to achieve better outcomes for our patients. Initially, the thoughts of where to find alignment were limited to the “historical concepts” of what a Quality Department includes — including the measurement and reporting on the care we provide. But there was recognition that these alone were not sufficient and that this work needed to be combined with teams who specialize in continuous improvement to translate that information into improved outcomes. Therefore, the realignment brought together measurement and reporting, performance improvement, patient safety and training to allow a seamless integration with our partners delivering clinical care in the hospital and ambulatory settings. Q: How does the Quality Department support the strategic initiatives of Michigan Medicine? SB: The Quality Department is most engaged in supporting the strategic initiatives focused on the clinical care provided by Michigan Medicine. 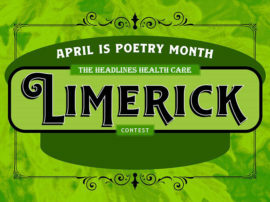 We need to demonstrate to payers, employers and patients that they are receiving high-value care. As health care costs continue to escalate and threaten society’s ability to provide other basic services, we need to do our part to ensure we are delivering appropriate, cost-effective care to patients. Patient Safety: Developing and maintaining a structured, coordinated and collaborative strategy to provide the safest possible patient care, using continuous process improvement and high reliability principles to evaluate process gaps when problems do occur, but — more importantly — to identify opportunities for improvements that will prevent problems from occurring in the future. Clinical Design & Innovation: Partnering with clinical units to reduce waste in health care and reduce potential harm to our patients. Clinical Quality & Training: Working with the medical school to train medical students, house officers, and faculty on quality and safety. This unit also develops clinical guidelines and pathways to help guide care and facilitates group learning opportunities. Performance Improvement and Program Management Office: Working to instill scientific problem-solving throughout the organization, empowering our staff to solve problems when they arise, and developing systems to ensure continuous learning and quality improvement. Quality Analytics: Measuring the care we provide and developing innovative ways to report that information so it’s available from the board room to the patient room — in the end, providing the right information to the right person at the right time. Michigan Program on Value Enhancement (MPrOVE): Working with our colleagues across the health system as well as with other units in the university — such as the Institute for Healthcare Policy and Innovation, Penny W. Stamps School of Art & Design, School of Information, School of Public Health, and the College of Engineering — to help them in their quest to discover new knowledge and translate those findings into improved care for our patients. 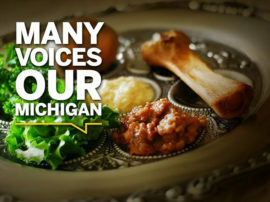 We also partner with colleagues at MidMichigan Health and Metro Health to align initiatives across our organizations, enabling Michigan Medicine to provide safe, quality care to patients across the state. Q: What do you see as the biggest challenges facing quality improvement and patient safety in the next five years? What is the biggest opportunity? SB: The greatest challenge — and the greatest opportunity — we have is to develop Michigan Medicine into an exemplar of a high-reliability organization. There are four key elements needed to achieve this goal: stakeholder engagement; continuous improvement; becoming a learning organization; and the prioritizing and coordinating of our activities. For stakeholder engagement, it will be critical that our leaders serve as champions for quality and safety and establish themselves as the “north stars” that will guide Michigan Medicine. More importantly, we need to empower our middle managers and our frontline staff to own quality improvement, which should be measured and transparently reported so we can hold ourselves accountable for the care we provide. With respect to continuous improvement, we need to provide our staff with the training and tools they need to ensure they are able to serve our patients and each other. As an academic institution and learning organization, it is imperative that we develop a culture of learning in which new knowledge is discovered, applied to clinical care, and shared with each other and other organizations. Finally, we need to prioritize our quality and safety activities so they align with our strategic goals; ensure that our resources are appropriately aligned for implementation; and clearly communicate this information to our staff members and patients.